Beginners of internet marketing have a tough time differentiating between content and social media marketing. Before we dig deeper on where you should make an investment let's find out how these two areas of marketing differ. It is a form of internet marketing that uses social networking sites as a marketing tool. The aim of SMM is to produce content that users will share on their social pages. Through this companies can increase brand coverage and broaden customer reach. According to the iDigic Social media for business infographic, there are 523,000,000 global users on social media. The influence of social media in our lives is so huge that it’s getting impossible to stay away from. Both online and offline businesses can benefit from social media. According to the Content Marketing Institute, “Content Marketing is a strategic marketing approach focused on creating and distributing valuable, relevant, and consistent content to attract and retain a clearly-defined audience — and, ultimately, to drive profitable customer action. Content marketing is basically for everyone who promotes their products or service online. But, small and new businesses must focus more on content writing because of their budget constraints. Even companies who are into manufacturing can provide insights on their industry's development or make their business more amicable. When it comes to social media and content marketing, there’s confusion on where you should invest all your dollars. Every company wants to get a big reputation and draw people. But, companies are usually at crossroads on whether to spend their budgets on creating fresh content or on promoting this through social media. So how do you decide? Before you start debating on the “how’s” and “why’s” you must decide what you’re trying to achieve through it. We all know that a successful online campaign can do a lot more than just increase sales. You must know what kind of reaction you’re expecting from the audience through your marketing. So decide whether you want to increase sales or get more email subscriptions and followers. Then find out which platform is suitable to promote your brand. If you don’t lay this out, you’ll never know if you are succeeding and you won’t get ROI for your efforts. Earlier content marketers bombarded the internet with as much content as possible. They believed that the more information they gave, the faster their online presence grew. This strategy worked out 10 years ago, because the competition was minimal. But, those days are far gone. Today, most companies are using internet marketing to connect with people quickly. Users are now looking for “quality content”. That said, you need to spend only 21% of your marketing budget on content marketing. Don’t misuse this 21% and produce mindless content. Even though 21% seems like less, you have to give it your best shot. Make sure you don’t use too many keywords because search engines don't want to waste users time. Focus on delivering content that has value. We all know the internet is like an endless ocean. Just because you have created a great article, you can’t expect people to find it. You must deliver it to them. How do you deliver it, through active promotion? If you have invested 30% of your budget on creating content then, you need to spend 70% on promoting it. How do you promote content? After creating content, you should spend a considerable amount of time promoting it. If you don’t know how to promote your content, make some changes and develop it into a question-and-answer format. Frame a question according to the nature of the content and post the article you’ve written as the answer. This is an excellent way to get user interaction, and you may find out which areas users are most interested in. Another way is to find a relevant word that is suitable for your article and use it as a hashtag. You can use that tag to promote it on Twitter. Don't hesitate to re-post it twice or thrice because you don’t want your article to be buried among the millions of others out there. Don’t be afraid to spend money on sponsored Twitter and Facebook ads. These ads will help you to reach more people. Some might argue that companies should not pay for content to be seen. However, startups and small companies need to be recognized. So using paid ads to get the recognition you want is not a crime. Once you get enough attention, you can follow the organic way. Search for popular tweets and posts of brands similar to yours and find out how they succeeded. Through this, you can get ideas to create content so that you can post consistently. After you’ve made the changes mentioned above, you must find out the response rate you receive from users. Whether it’s increasing sales or getting more subscribers, you must decide on what you’re trying to achieve. Once you have decided on it, you can use the appropriate tools to track your return on investment. There are analytic tools that are built on social networking sites. Twitter and Facebook have some excellent in-built analytics that can help you trace your growth. If you want to track down the traffic for your website, then Google Analytics will be helpful. It can even track the key conversion metrics if that's what you're after. If you want to know how well your posts are doing, you can use third party tools like Mention. This tool helps you to track any conversation users have had about your brand and the content that you’ve written. KeyHole is a tool that works like a search engine and helps you to track brand mentions across the web. It is a real-time database that provides you with the latest analytics. “Content marketing is the new SEO” is the saying that is going around the SEO industry. Many people believe it because of the latest changes made by Google. The ranking algorithms are now giving preference to high-quality content. SEO marketers took it as a sign that content plays a crucial role in the ranking factor. However, some experts believe that high-quality content along with active social media marketing is the new SEO. Always keep in mind that high-quality content combined with social media will contribute to effective online marketing. Social media plays a critical role in promoting the product. It is the best place to interact with users. But, how do you interact with users online? It is via content. Most agencies are excellent when it comes to increasing traffic to a site. They’ll create catchy posts and Twitter updates. But, what you must understand is with the amount of extensive information available on the internet, even a qualified intern can manage social media accounts. Content marketing skills need vision and expertise because through that you are delivering the voice of the organization. So you must never outsource social media content to a third party. Hire candidates who have experience in writing content in your field. They will understand the relationship you have with your customer and can easily write content to attract them. Train the team to create content suitable for multiple platforms so that you can reach a larger audience. Initially, it will be tough to estimate how much to spend on content and social media marketing. But, once you find out what works for your brand things will get much better. It is important to remember that your content creating efforts depend on active promotion. 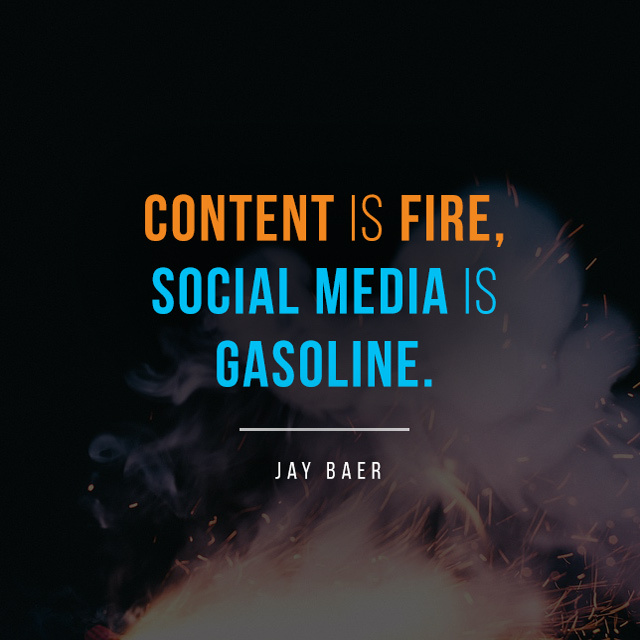 The bottom-line is that social media and content marketing need the support of each other. Both areas are intertwined. 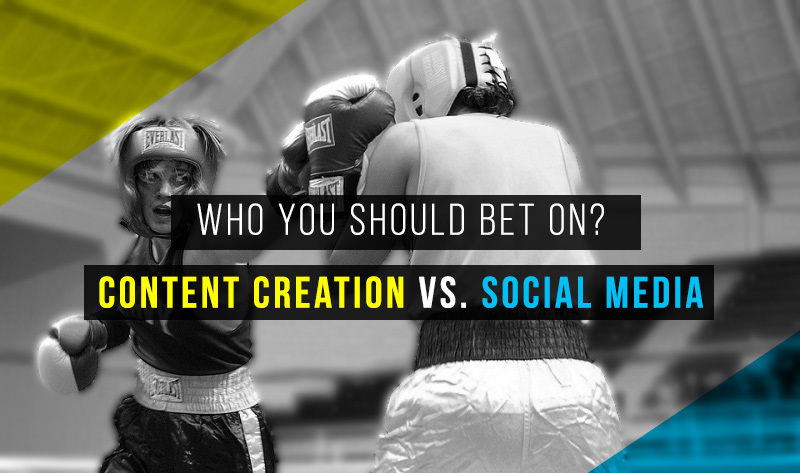 Social media marketing is all about promotion and content marketing is about creation. The survival of one would be difficult without the other. Companies who create quality content and have a good social media presence can succeed in online marketing and make an impact on the online community. Susan Smith is a writer at iDigic who mostly handles content related to social media marketing and using the social media platform to leverage brand awareness.